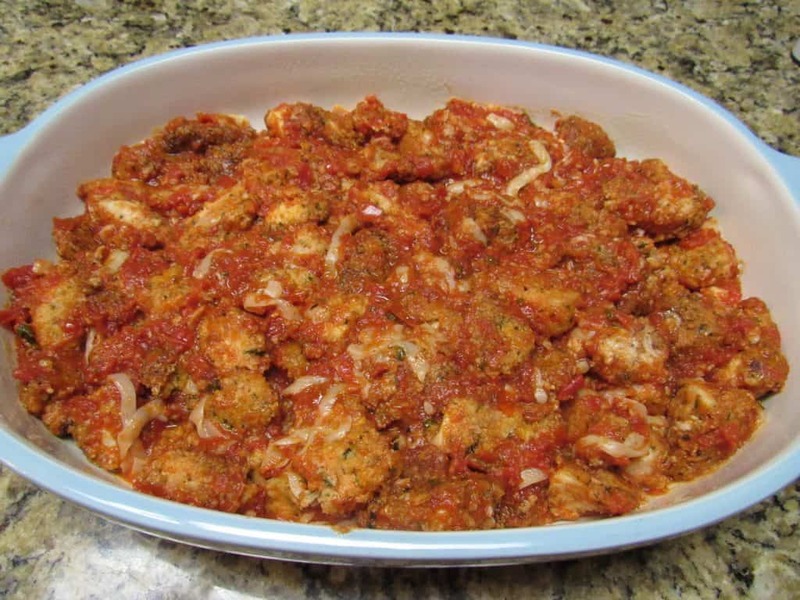 Fried nuggets of chicken breaded in a Low Carb and Keto friendly coating, baked in homemade marinara sauce and topped with gooey mozzarella cheese! 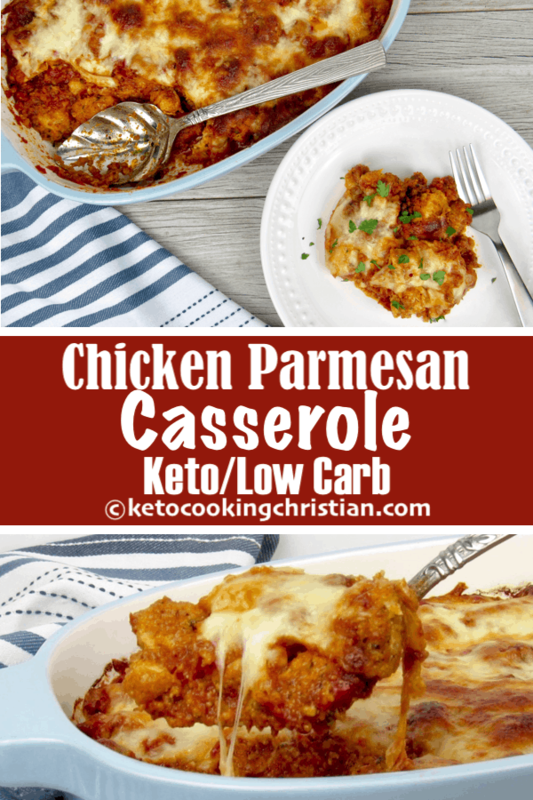 This is a different take on the more traditional Chicken Parmesan that I make. 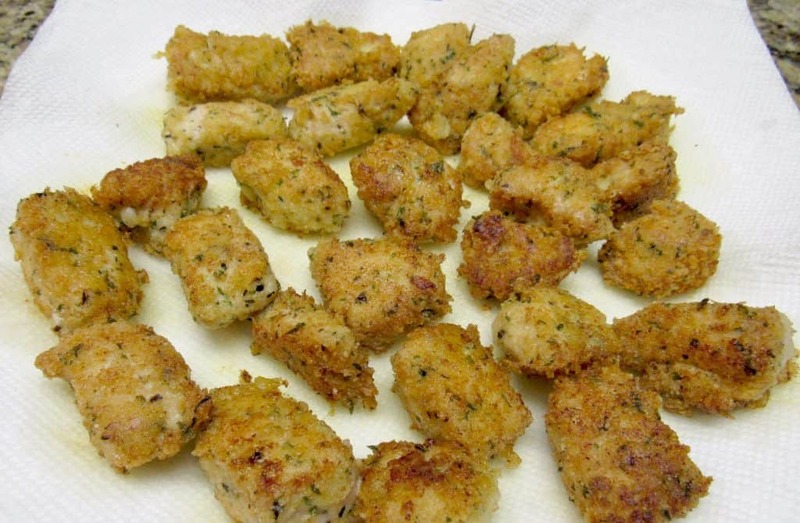 I use a similar breading, but instead of large filets, I cut the chicken into bite size nuggets. I mix in my Homemade Marinara Sauce, grated parmesan cheese (which is also in the breading) and top it with shredded mozzarella cheese. 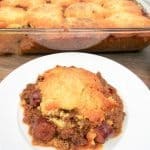 It’s baked in the oven until the cheese is golden and you can serve with your favorite vegetable or salad. 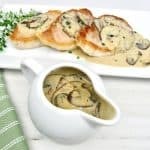 The chicken breading that I use is so full of flavor, you can actually use part of this recipe to make just the chicken nuggets and pair with your favorite Keto/Low Carb dipping sauce. Just be sure to cook the nuggets through on the stovetop. 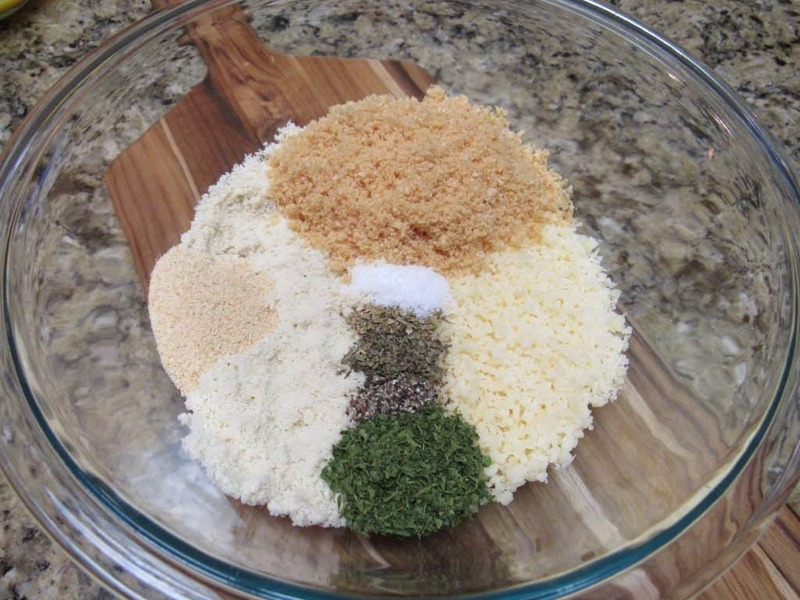 Grind the pork rinds in a food processor or mini chopper. Remove and set aside. Add cubes of parmesan cheese and grind till you get a granular consistency, similar to the pork rinds. 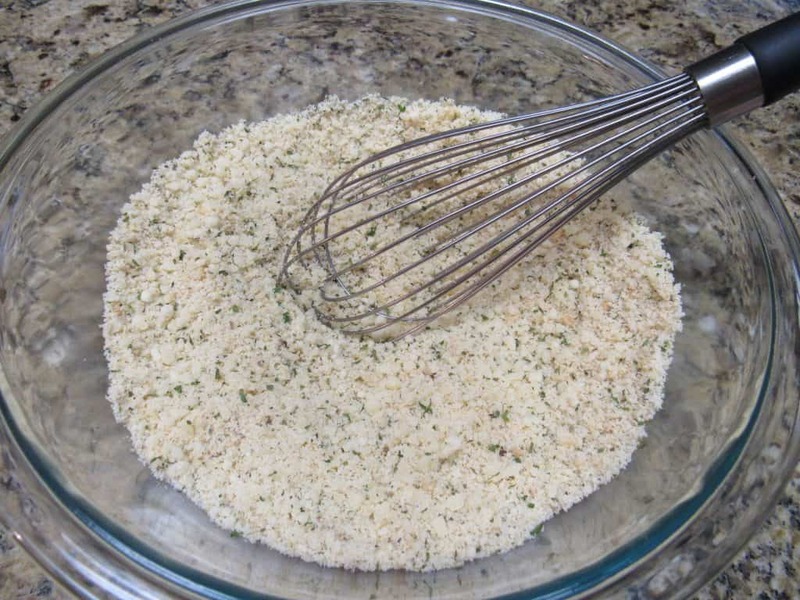 Add all the dry ingredients (including 1 cup of the grated parmesan cheese, reserving 1/4 cup) in a bowl and mix using a hand whisk or fork, until well combined. Set up your breading station with the chicken, beaten eggs and breading mixture. Dip each piece of chicken into the egg and then into the breading mixture. Heat a large skillet to medium-high heat and fry the chicken in a little bit of olive oil, for a few minutes on each side. They don’t need to be cooked through, they will finish cooking in the oven. Remove and allow to drain on paper towels. 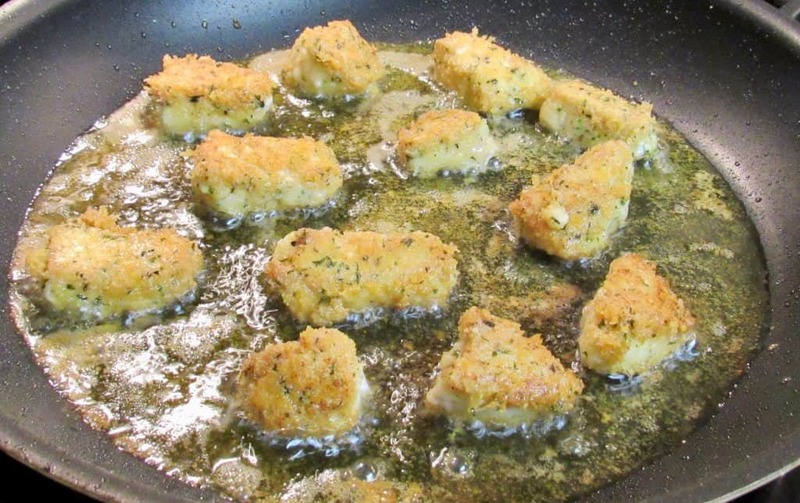 Pour the nuggets into a large mixing bowl. 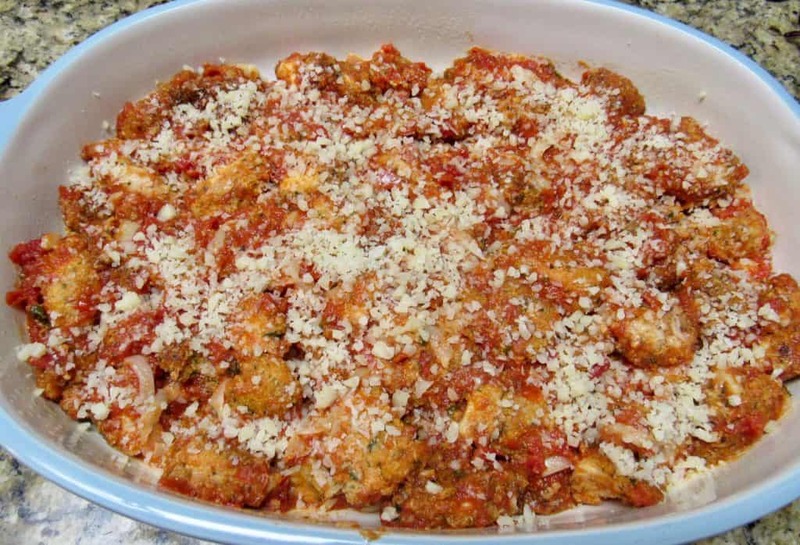 Add in the marinara sauce and 1 cup of the shredded mozzarella cheese, then toss to combine. 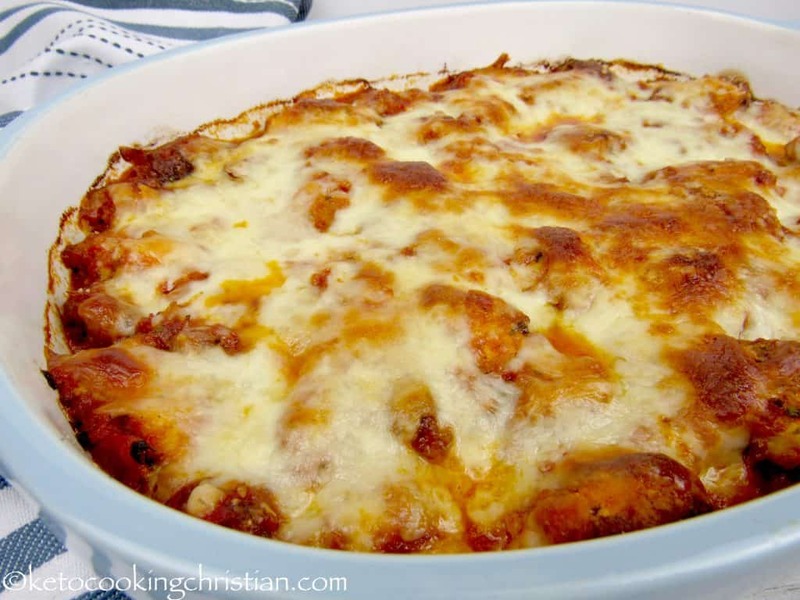 Pour the mixture into a 9″ x 14″ casserole or glass baking dish that has been sprayed with non stick spray. Top with the remaining 1/4 cup of grated parmesan cheese. Then add the 1 cup of mozzarella cheese, then bake for 25 minutes or until the cheese is slightly golden. Note: Macros do not include the oil used for frying. 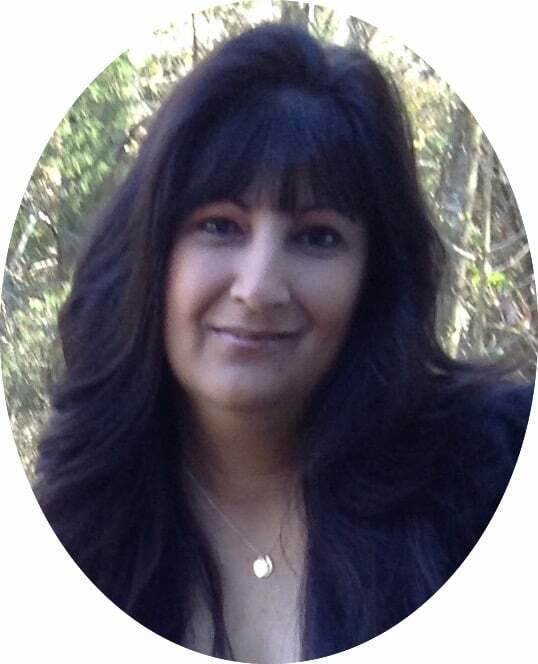 Be sure to recalculate based on the oil that you decide to use. 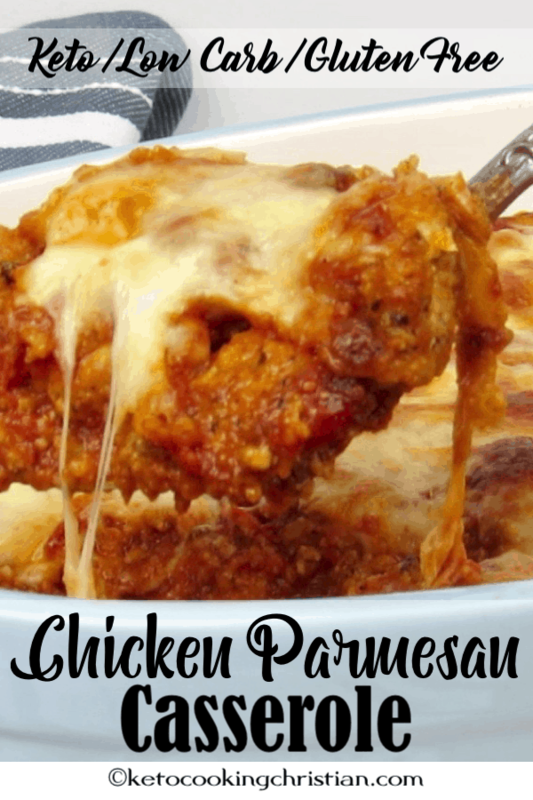 This is a different take on the more traditional Chicken Parmesan that I make. 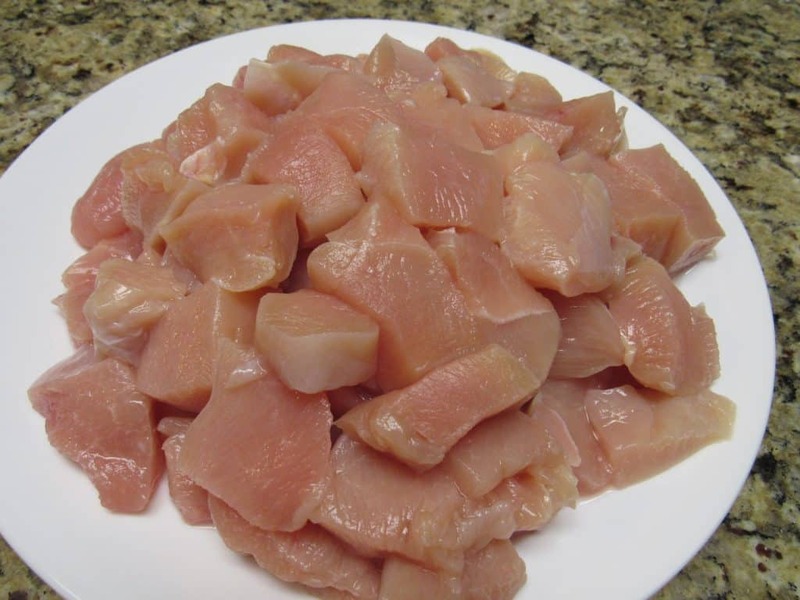 I use a similar breading, but instead of large filets, I cut the chicken into bit size nuggets. 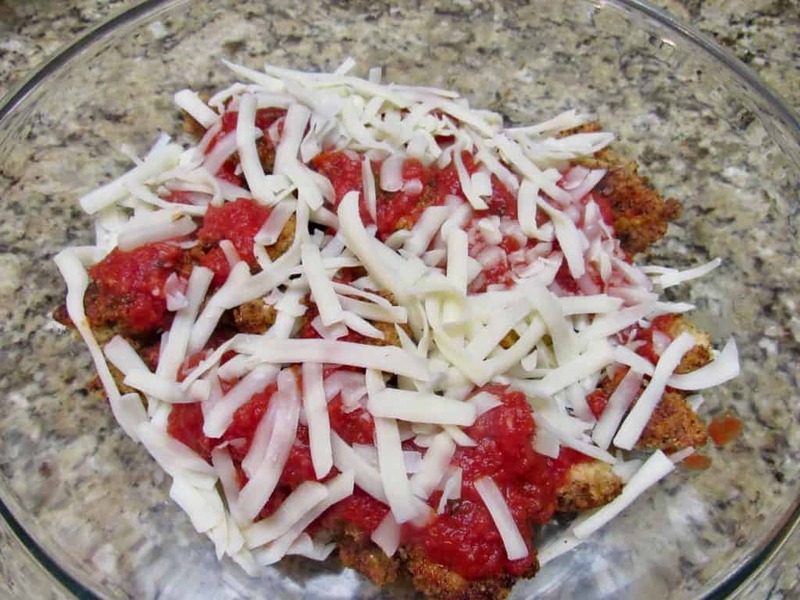 I mix in my Homemade Marinara Sauce, grated parmesan cheese (which is also in the breading) and top it with shredded mozzarella cheese. 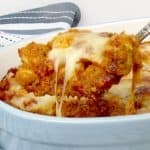 It's baked in the oven until the cheese is golden and you can serve with your favorite vegetable or salad. 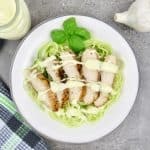 The chicken breading that I use is so full of flavor, you can actually use part of this recipe to make just the chicken nuggets and pair with your favorite Keto/Low Carb dipping sauce. Just be sure to cook the nuggets through on the stovetop. Grind the pork rinds in a food processor or mini chopper. Remove and set aside. Add cubes of parmesan cheese and grind till you get a granular consistency, similar to the pork rinds. Set up your breading station with the chicken, beaten eggs and breading mixture. Dip each piece of chicken into the egg and then into the breading mixture. Heat a large skillet to medium-high heat and fry the chicken in a little bit of olive oil, for a few minutes on each side. They don't need to be cooked through, they will finish cooking in the oven. Remove and allow to drain on paper towels. 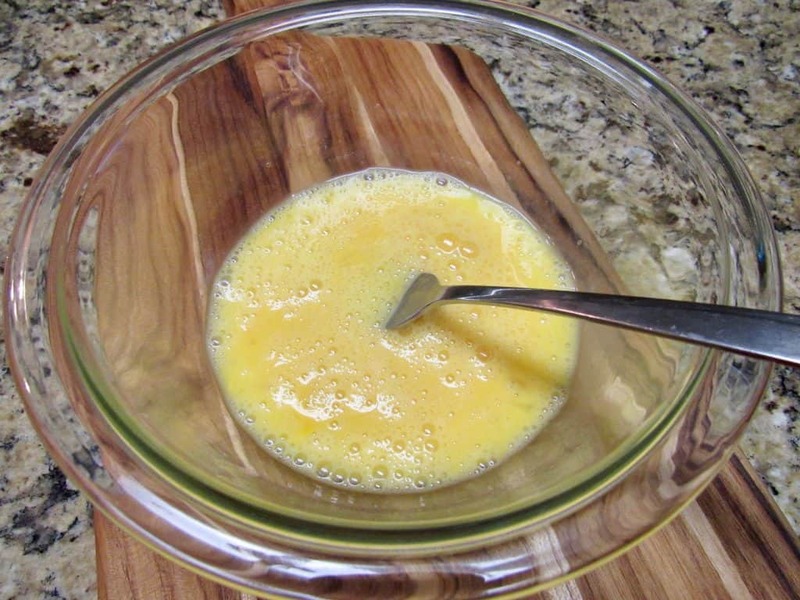 Pour the nuggets into a large mixing bowl. 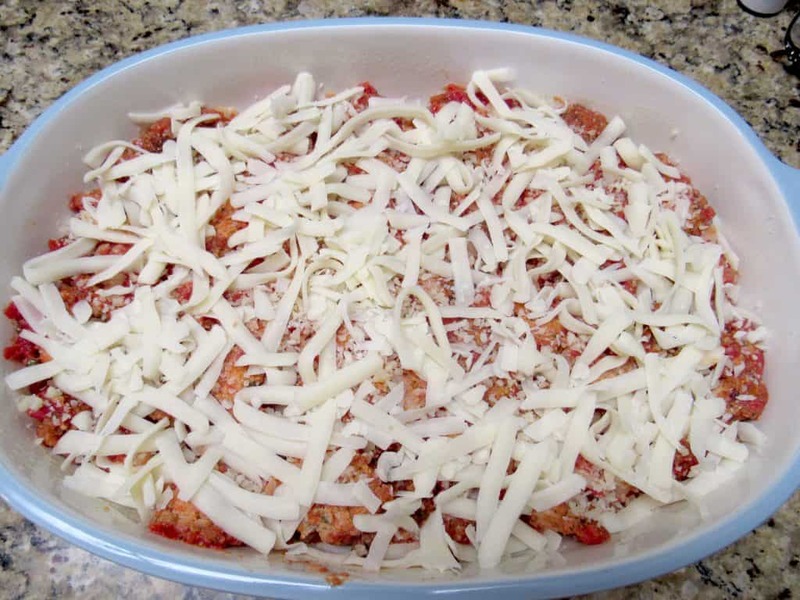 Add in the marinara sauce and 1 cup of the shredded mozzarella cheese, then toss to combine. Pour the mixture into a 9" x 14" casserole or glass baking dish that has been sprayed with non stick spray. 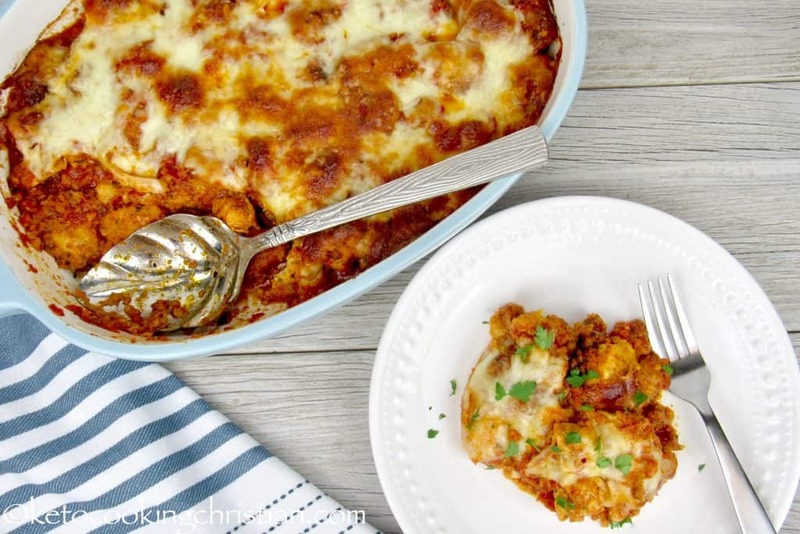 Top with the remaining 1/4 cup of grated parmesan cheese and 1 cup of mozzarella cheese, then bake for 25 minutes or until the cheese is slightly golden. Are there any alternatives to pork rinds? I appreciate the reason they’re present, but pork products don’t tend to do well for us. 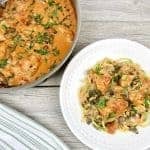 They are really mostly for texture, but you can omit them and sub with 1/4 cup of almond flour and 1/4 cup of parmesan cheese if you’d like.